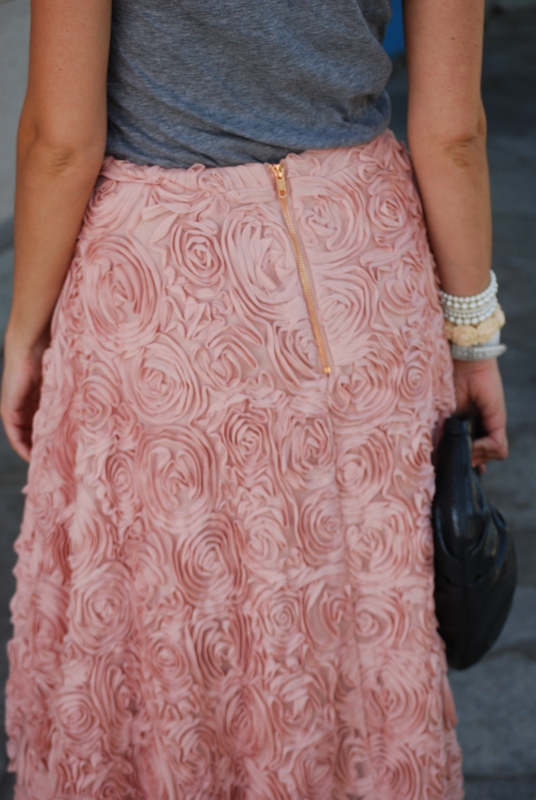 It was truly love at first site when I saw this Petaluma skirt at Anthropologie! I can go on and on about the fit, the texture, the length and how I feel in it, but I can just sum it up with one word – perfect. It’s everything I ever wanted in a midi skirt! Get ready to see a lot of it because there are so many ways I want to style it. I wanted the skirt to be the focal point, so I kept the top, shoes and bag all basic gray. 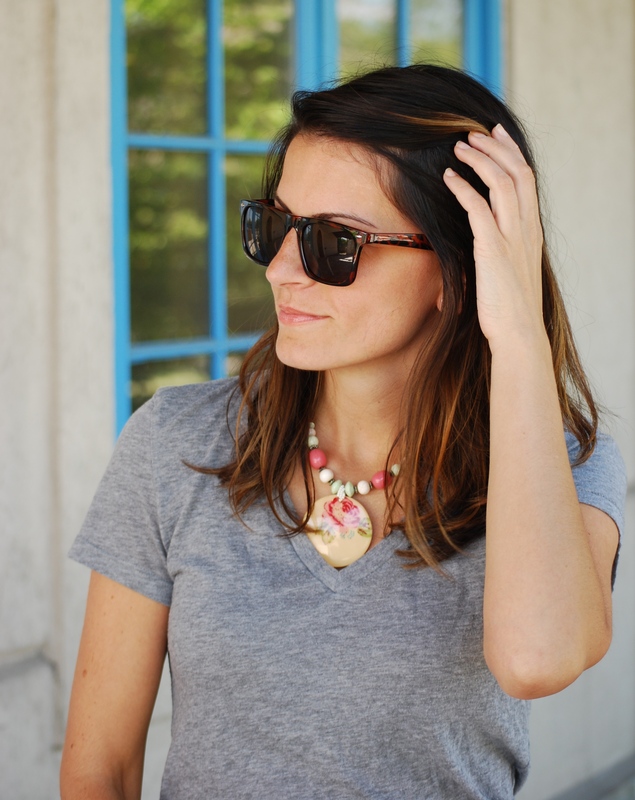 Paired with my go-to gray T-shirt that I’ve worn a million times (ok maybe half a million times) and playful accessories, I couldn’t help but smile all day when I wore this last week. It’s really funny that an article of clothing can brighten my mood at just the right time, but I’m glad that it worked magic on me. Have a wonderful week lovelies! Look at that, I’m still in a good mood! Seriously ladies get this skirt! I love how you styled this skirt. 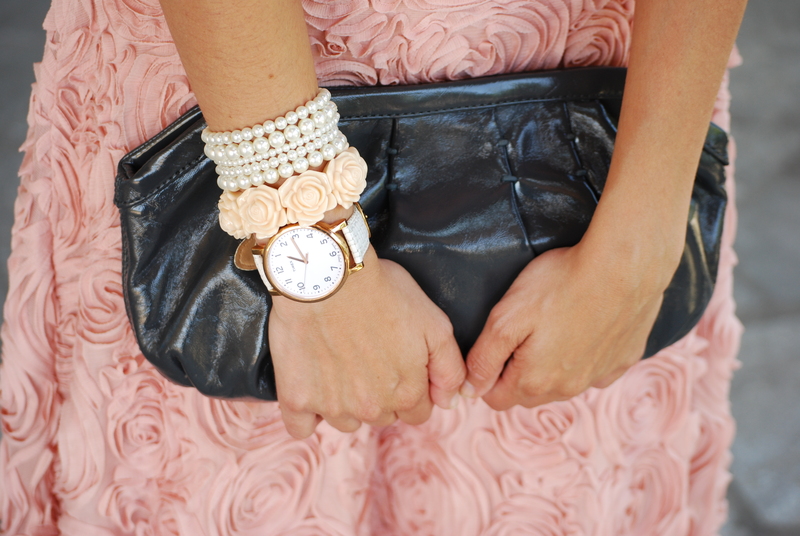 The soft pink pairs beautifully with grey. I bought this skirt on sale last month and have found it kind of difficult to wear. I have a post on my blog where I’m wearing it with a sweater and booties. I will have to try it with a tee and pumps instead. Hi Liana, thank you! Try it with pumps or tall boots with a cozy sweater. Let me know if you try it out.